Exfoliating pads have had a makeover. 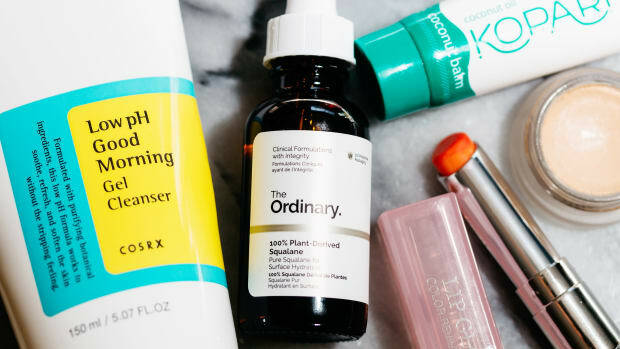 Not long ago, you could only find them in the acne aisle at the drugstore—and they were always laden with harsh ingredients like alcohol and fragrance. Now, there&apos;s an exfoliating pad for almost every skin concern, with cleaner, gentler formulas available at all price points. I&apos;ve been using one each night for the last few months instead of my usual liquid acid, and let me tell you: I LOVE them. Exfoliating pads can help with acne, uneven skin tone and more. The active ingredients in exfoliating pads are acids: either alpha-hydroxy acids (AHAs), beta-hydroxy acids (BHAs), or a combination of both. But unlike acid toners, liquids or gels, which have to be applied with a cotton pad or your fingertips, exfoliating pads are pre-soaked with the solution. So all you need to do is swipe! The dose is already measured for you, and it&apos;s usually enough to do your face, neck, chest and even ears and back (which can be helpful if you&apos;re dealing with breakouts). Some pads are even textured, so they give your skin a gentle manual exfoliation as well. Exfoliating pads from Elizabeth Arden, Philosophy, Juice Beauty, First Aid Beauty, B. Kamins, Pixi Beauty and Indie Lee. Whether you choose pads with AHAs, BHAs or a combination of both is up to you. AHAs are good for exfoliating the skin surface, while BHAs will both exfoliate the surface and deep-clean your pores. Keep in mind that AHAs tend to be more irritating, and will make your skin sun-sensitive. Fragrance: The number one skin irritant. It&apos;s usually listed as "fragrance" or "parfum." Silicones: Surface film-formers that can exacerbate acne and prevent your other topicals from penetrating. Acetone: Another solvent. Do you want to put nail polish remover on your face? Me neither! Witch hazel: Although it has anti-inflammatory properties, some people (like me!) experience irritation from witch hazel and need to avoid it in high quantities. Buffers: Ingredients like sodium hydroxide and ammonium hydroxide are used to control an exfoliator&apos;s pH, but may cause irritation at high concentrations. Essential oils: They&apos;re natural, but certain essential oils can cause sun sensitivity and irritation, depending on how diluted they are. For this guide, I&apos;ve selected products with the least amount of problematic ingredients. Go-To Exfoliating Swipeys are a set of lactic-acid based exfoliating pads that get Sephora&apos;s "Clean Beauty" seal of approval. The all-natural formula contains aloe vera to soothe and hydrate, and is free of synthetic fragrance. First Aid Beauty Facial Radiance Pads remove dead skin cells with two AHAs: lactic acid and glycolic acid. Still, they should be gentle enough for most skin, since the formula is alcohol-free and high in aloe vera and glycerin. 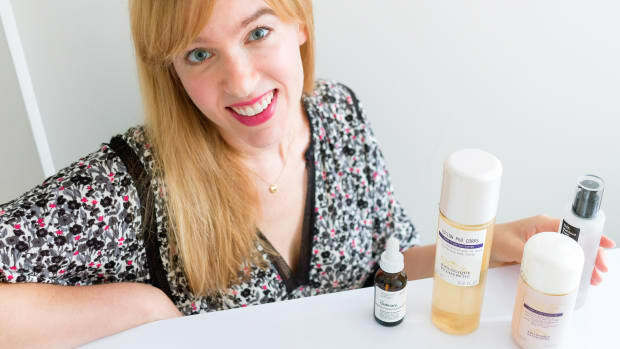 Inspired by professional peels, Goop Goopglow 15% Glycolic Overnight Glow Peel delivers 15 percent glycolic acid (plus other Goop-approved clean ingredients). These are strong, so you&apos;re only meant to use them once per week. Suitable for daily use, Indie Lee Radiance Renewal Peel is gently exfoliating with natural AHAs from Australian caviar lime. It&apos;s also got vitamin C-rich plum and banana extracts, plus propanediol and glycerin for hydration. Elizabeth Arden Skin Illuminating Retexturizing Pads are infused with five percent glycolic acid and surprisingly few other ingredients—no synthetic fragrance. They also include amino acids, which help maintain hydration. For the minimalists out there, Malin+Goetz Resurfacing Glycolic Pads have just three ingredients: water, 10 percent glycolic acid and ammonium hydroxide. For the first few weeks, they recommend rinsing it off after 20 minutes, until your skin gets used to it. DCL G10 Radiance Peel is another jar of pads with only three ingredients (water, 10 percent glycolic acid and ammonium hydroxide). They recommend starting with this strength, then working up to their G20 Radiance Peel with 20 percent glycolic acid. Arcona The Solution Pads resurface the skin with a four percent glycolic acid complex in a simple base of water, glycerin and witch hazel. They also contain a "spin trap" (phenyl t-butylnitrone), which catches free radicals before they spin out of control and do damage. A sugar cane-derived glycolic acid is the star ingredient in the Sephora Collection Glow Peel Pads, but they&apos;ve also got lactic, citric, malic and tartaric acids from blueberries, maple and citrus extracts. There is some synthetic fragrance in here, but less than one percent (so it gets Sephora&apos;s "Clean" seal). Pixi Glow Peel Pads are a fragrance-free home peel with 20 percent glycolic acid. Because this treatment is so intense, you&apos;re meant to neutralize it with cool water after just two or three minutes. Note: There&apos;s also Glow Tonic To-Go, with only five percent glycolic acid, but that is fragranced. The creation of Dr. Loretta Ciraldo, a board-certified dermatologist, Dr Loretta Micro Peel Peptide Pads are 10 percent glycolic acid pads. They&apos;ve also got algae peptides to replace lost moisture, and are free of fragrance. Despite the name, Volition Beauty Apple Cider Vinegar Resurfacing Peel Pads are actually higher in glycolic acid than apple cider vinegar. Both ingredients help resurface the skin, while propanediol, coconut water and glycerin minimize irritation. Just be aware that this one&apos;s high in witch hazel, in case you&apos;re sensitive to it. Cane + Austin Miracle Pad 20% was designed by Dr. Craig Austin to mimic the effects of a professional glycolic peel at home. (The "Cane" is for sugar cane, from which the glycolic is derived.) These fragrance-free and alcohol-free pads are said to be okay for sensitive skin (even though there&apos;s a small amount of acetone in here). B. Kamins Anti-Blemish Pads targets current and future breakouts with two percent salicylic acid and sulfur (sodium theosulfate). These do get a little foamy on the skin, and have a strong peppermint note, but I didn&apos;t experience any irritation. COSRX One Step Original Clear Pad exfoliates with one percent betaine salicylate, equivalent to about 0.5 percent salicylic acid. So it&apos;s gentler than most BHA formulas, although it does have essential oils (which are not in their BHA Blackhead Power Liquid). Trish McEvoy Beta Hydroxy Pads Daily Exfoliator are salicylic acid-based pads that are gentle enough to use daily on all skin types (so they&apos;re not just for acne). They&apos;re free of synthetic fragrance, and include hyaluronic acid, camellia leaf extract and B5. Arcona Raspberry Clarifying Pads feature one percent salicylic acid along with tea tree oil to treat and prevent breakouts. Just be careful with this one if you are sensitive, as it&apos;s high in witch hazel and alcohol. Since Juice Beauty Blemish Clearing Toner Pads use a mild form of BHA, willow bark extract, I don&apos;t think you need to have acne to use them. 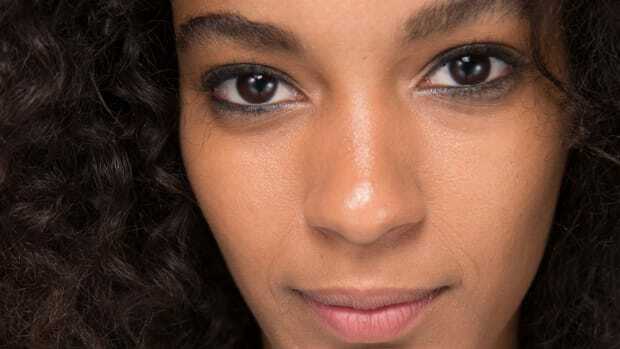 (In fact, you may need a stronger formula if you&apos;re dealing with breakouts.) These are packed with botanicals, including aloe juice and cucumber extract. Indie Lee Gentle Daily Peel is a jar of natural exfoliating pads with AHAs from Australian caviar lime and BHAs from wintergreen. As such, it&apos;s going to be gentler than most acid treatments, and can be used as often as daily for smoother skin. Arcona Tabula Rasa Pads give you a powerful but non-irritating combination of two percent lactic acid and two percent salicylic acid. So they&apos;ll help to exfoliate, clear clogged pores, reduce excess oil and soothe inflammation. Created by Dr. Neal Schultz of DermTV, BeautyRx by Dr. Schultz Advanced 10% Exfoliating Pads deliver 10 percent glycolic acid plus salicylic, lactic and phytic acids. This fragrance-free formulation is considered "advanced," so your skin must be used to chemical exfoliation. ClarityRx Pick Me Up Skin Booster Pads are saturated in 10 percent glycolic acid and two percent salicylic acid. This simple, fragrance-free formula can be used as often as daily, once your skin develops a tolerance. Kerstin Florian Correcting At-Home Professional Peel contains a 20 percent acid complex, including glycolic, lactic, salicylic and phytic acids. Bonus: It&apos;s also got Matrixyl 3000, a pair of anti-aging peptides that reduce wrinkles. Dermaflash Flash & Glow Resurfacing Peel Pads give you both glycolic and salicylic acid in a basic, fragrance-free formulation. These are said to be suitable for even sensitive skin if you apply them every other day. Jack Black Power Peel Multi-Acid Resurfacing Pads exfoliate with glycolic and salicylic acids, plus fruit acids and gluconolactone (a second-generation AHA). They&apos;ve also got an algae-yeast-urea complex that helps with firming, and niacinamide for brightening. Luzern L&apos;Essentials Au Vin Exfoliating Treatment contains pads infused with 10 percent lactic acid and one percent salicylic acid, so they should be tolerated by most skin. Gluconolactone appears in here, too, as well as vitamin C (sodium ascorbyl phosphate) and vitamin B5. With 0.5 percent salicylic acid plus mandelic and glycolic acids, Philosophy Clear Days Ahead Overnight Repair Salicylic Acid Acne Treatment Pads would be suitable for minor breakouts or general exfoliation and brightening. Surprisingly, these are not artificially fragranced. Although DCL Multi-Action Penta Peel is a blend of mandelic, phytic, lactic and salicylic acids, it promises to be gentle enough for the most sensitive skin. Hyaluronic acid compensates for the drying alcohol, providing moisture and reducing irritation. Cane + Austin Acne Retexture Pad combines five percent glycolic acid with two percent salicylic acid for a complete anti-aging and anti-acne treatment. This formula is fragrance-free, but it does contain alcohol, and a little acetone at the end of the ingredients list. Dermadoctor Kakadu C Intensive Vitamin C Peel Pads with Ferulic Acid & Vitamin E are a combination acid-vitamin C treatment. Kakadu plum (Terminalia ferdinandiana) is the source of C, and the acids include glycolic, lactic, mandelic and willow bark extract. There&apos;s no fragrance in these. Are you a fan of exfoliating pads?